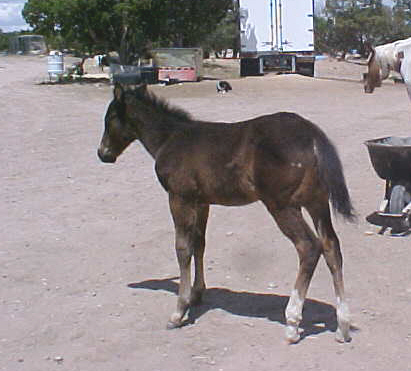 This foal is very well bred for performance of any kind. He has many show, roping and even race horses back there to give him lots of speed. And the way he is already put together and filling out with muscle shows he will be exceptional. 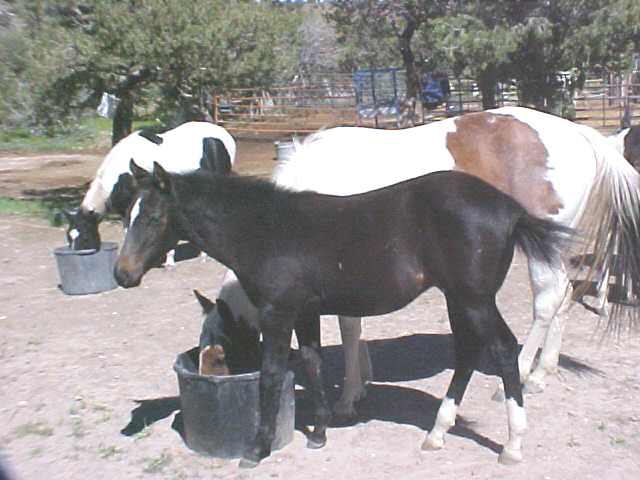 Put that together with a very sweet and mellow temperament, and you have a real jewel of a horse! He is the real thing disguised in a plain brown wrapper! 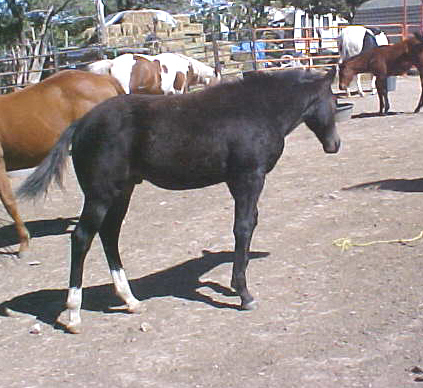 This is a really good colt and I probably have him priced way too cheap. His conformation is perfect and he is very mellow and friendly. He is already really well muscled and he will be big. 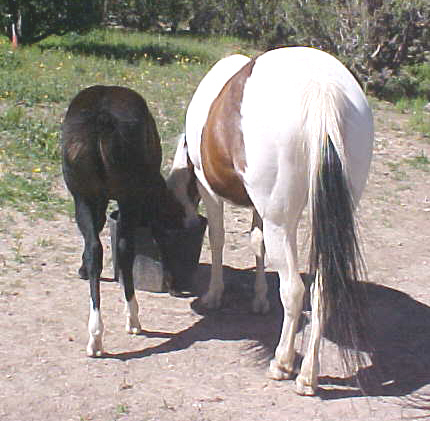 I will keep him for a riding gelding on the ranch if I don't get him sold pretty quick cause I like him so much! He is nearly black right now. May turn totally black.